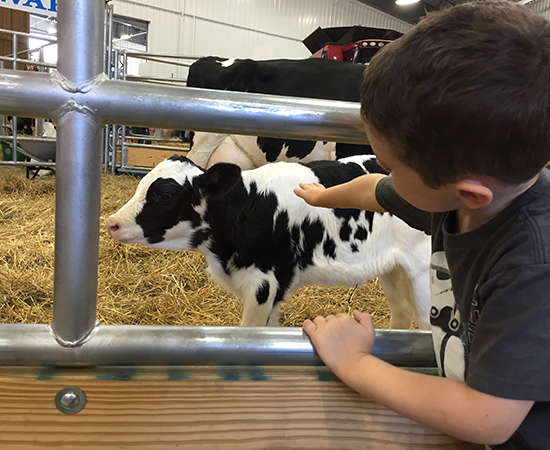 This past weekend we took the boys to the local county fair. We actually spent the entire day there (from 10:30 am until 10:00 pm!) 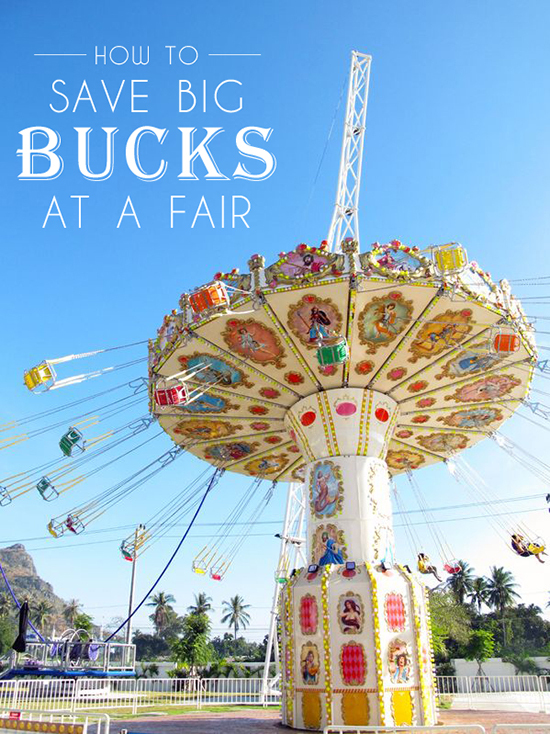 It is insane how expensive it can quickly become for a family outing… So I decided to share some of my top tips for saving big bucks when going to a fair / festival. Tickets: do not pay full price! For almost any fair you can purchase pre-sale tickets at local grocery stores, sometimes for half the price! Check their website – for special days. 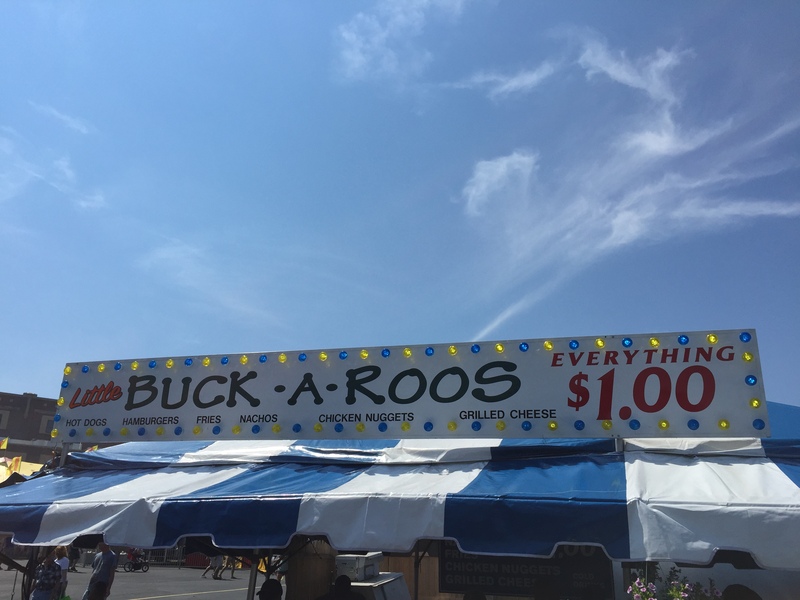 I know our local fair has a day where you can enter the fair at no cost – as long as you bring a canned good to be donated to the local food pantry. You can literally enter the fair for the price of a can of beans. Check with your company. I know that Scott had discount tickets through his HR department. We were able to buy our entry tickets AND ride passes at a huge discount rate. Try and win them. If all else fails, call into the local radio station and try to win a family pass. Scott and I do enjoy trying new foods at the fair. However, Greyson could not care less. So I am not about to spend 7 bucks when I could bring him something that cost 50 cents to make at home. You’ll notice that I keep the snacks pretty plain / without much sugar. There is a lot going on at the fair, between the treats, the heat, and lots of activity I want to keep little tummies from getting sick with treats. If you cannot or you do not want to pack lunch for your kiddos you can usually find a place that sells food like hotdogs, hamburgers, grilled cheese, french fries, etc for a buck. I ended up grabbing Greyson a grilled cheese and a hotdog for me, for just 2 dollars! I am a HUGE tea drinker. Unsweetened without lemon. I prefer the Lipton powder mix, and mix multiple glasses a day. I knew both Scott and I would like tea at the fair. I also knew I was not going to spend 3 bucks per cup! SO before we left I made a large tea drink in my Tim Hortons cup. In my water bag I threw in a small container of powered tea mix. When the Tim Hortons cup became empty I dumped in a little powered mix, and a cold bottle of water. Tea all day long. It was glorious! There were a few times throughout the day that our tea become warm, so I just went to a vendor and asked if they would toss a little ice in our cup. Not a single one hesitated or charged me. I did purchase Greyson a treat juice drink in advance from the grocery store, so he could enjoy something special with his packed lunch. Your kids will probably want to ride all the rides any play every $4.00 game to win stuffed animals. In a blink of an eye you have just spend $50.00 with absolutely nothing to show for it. Don’t do this. Save the rides until the end of your day. Not only with it be “cooler’ as the sun goes down, but you wont have to hear your kids complain all day that they did not get to ride as much as they wanted, or beg to go back to the midway. Let them spin all the prize wheels. Grey LOVED this, and he won something every time. 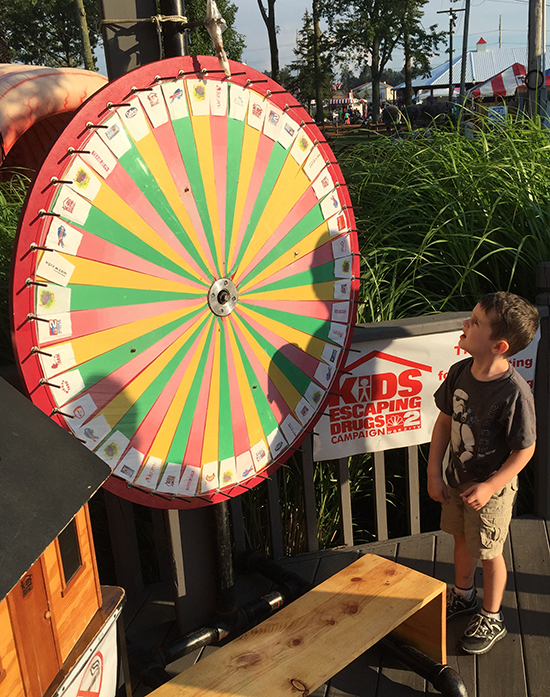 It was free entertainment for him, and kept him happy— looking through the tents / buildings for the next prize wheel. Bring a reusable bag, to put all of the “prizes” in. This way you are not carrying them around all day, they are not cluttering up your nicely organized diaper bag / purse, or the bottom of the stroller. Take your time and walk through the buildings. They have so many activities that kids can participate in. From one-on-one experiences with animals, and equipment. Craft times, play areas and so much more. Bonus- Most of them are educational! See the shows! Some of them are pretty darn good! Get there early so you can get a seat in the shade. BIG TIP! Print of the schedule a day in advance and determine what shows you do not want to miss. Once you do that put a reminder in your phone for 20 minutes before the show starts. Your phone will ding to alert you to the show, so you never miss one! Apply sunscreen before you go, and before your kids get dressed. Also, don’t forget to bring it with you and reapply! Strollers are worth 10x their weight in gold! They hold the small coolers, bags, toys that they win, and most importantly completely exhausted children. Another bonus of buying a sheet of ride tickets ahead of time is that your kids learn about making good decisions (i.e. which rides do I really want to do with my limited tickets) and some basic math (this ride costs 4 tickets, I have seven, how many will I have left …). This is actually very similar to leaning about being responsible with money and may make a nice transition to that conversation as well depending on their age.